Photo by NS Newsflash via Flickr Creative Commons. Last year, a former student contacted me to ask if her news outlet, a network affiliate, could use a video clip from a Comedy Central show to introduce a segment about election-year campaign spending. The purpose of the segment was to comment on the show’s many attempts to raise awareness of the rules that govern such spending. And, last month, a former student contacted me to ask if his news outlet, an online startup with a hyperlocal focus, could embed a federal government report on the outlet’s website. The purpose of the embedding was to enable readers to review for themselves the evidence for a claim and then draw their own conclusions. 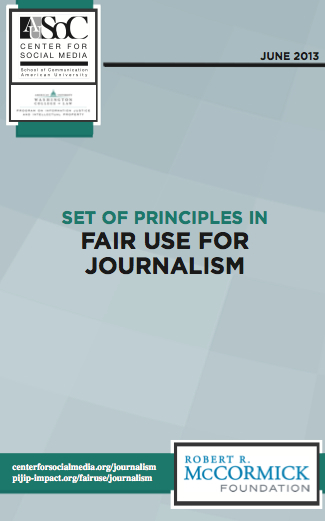 "The report identifies seven principles that represent the shared opinion of journalists in evaluating what is 'fair' in their field, and each principle correlates with a situation commonly encountered by journalists." The journalists were worried about copyright infringements, and they wondered if the “fair use” doctrine would protect them. (It allows people in limited circumstances to use copyrighted works without permission or payment.) In the first case, I told the journalist that she would be protected because of how and why she used the work, and in the second case, I told the journalist that the fair use doctrine was irrelevant because works prepared by the federal government generally are not copyrightable. I have these talks pretty often with clients and former students (note to self: do a better job of teaching copyright law), and the reason is straightforward: Many public communicators, including journalists, struggle to apply the fair use doctrine in their daily work. They seek legal counsel, and sometimes they ask what other journalists would do in the same or similar circumstances. Enter: the “Set of Principles in Fair Use for Journalism,” released Friday at a TEDx event at the Poynter Institute. It was prepared by the Center for Social Media and the Program on Information Justice and Intellectual Property at American University, with support from the Robert R. McCormick Foundation. The report identifies seven principles that represent the shared opinion of journalists in evaluating what is “fair” in their field, and each principle correlates with a situation commonly encountered by journalists. That approach gives the report an accessibility and practicality that should help journalists, like my clients and former students, make fair use decisions in their daily work. The principles and situations emerged from a series of deliberative meetings, in 10 cities across the country, led by American University researchers Patricia Aufderheide and Peter Jaszi. In each meeting, a small group of journalists discussed in depth the common and recurring fair use problems they had experienced or observed. Then, with the guidance of an advisory group of copyright lawyers, Aufderheide and Jaszi distilled those experiences and observations into the principles and situations that anchor the report. SITUATION: When copyrighted material is used as historical reference in news reporting or analysis. LIMITATIONS: (1) The journalist should contextualize the historical material to make clear its relevance to the current work. (2) The journalist should take an appropriate amount that will provide the relevant historical context. 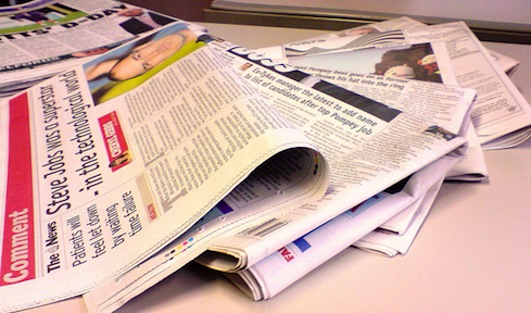 (3) The journalist should attribute the material in a reasonable manner. Among the other situations addressed in the report: the use of copyrighted material in cultural reporting and criticism, the use of copyrighted material as proof or substantiation in news reporting or analysis, the use of copyrighted material captured incidentally in the process of recording the news, and the use of copyrighted material to illustrate news reports. WHAT’S FAIR IN THE FIELD? The basic function of the fair use doctrine, according to the case Triangle Publications v. Knight-Ridder, is to “balance the author’s right to compensation for his work, on the one hand, against the public’s interest in the widest possible dissemination of ideas and information on the other.” Thus, the doctrine emerged in response to concerns that (1) copyright law is designed to encourage the creation of works that advance knowledge and the arts, and (2) an absolute ban on using those works derivatively would frustrate that design. (4) the effect of the use upon the potential market for, or value of, the copyrighted work. The statute does not articulate how exactly to consider those factors, and courts have held that those are not the only permissible factors. Another is the shared opinion of practitioners in evaluating what is “fair” in their field. 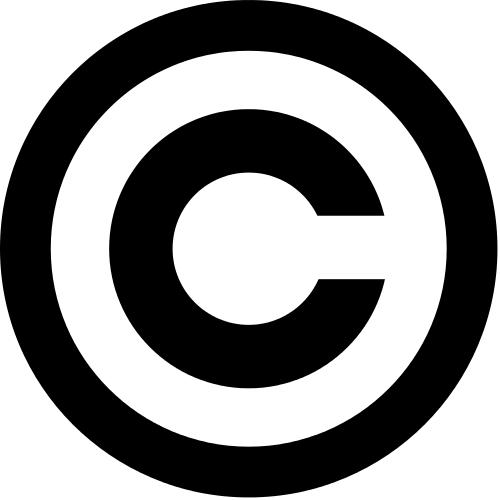 In other words, the issue is whether a person claiming fair use has acted reasonably and in good faith, in light of the generally accepted practices in his or her field. It’s important, then, for critical and creative fields to articulate their understandings of fair use. Notably, the situations and principles outlined in the report apply to all forms of media, from print to podcasts and beyond. They stand to help a New York Times journalist as much as a Spot.Us freelancer or independent blogger. And generally they stand to improve efficiency and effectiveness in news production by lowering risk (i.e., the risk of violating copyright law) and enhancing confidence (i.e., the confidence of journalists to make fair use decisions). Photo by Josh Janssen via Flickr Creative Commons. 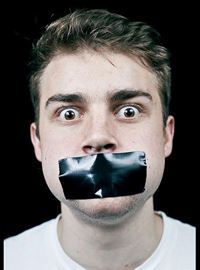 They also stand to stem the self-censorship caused by confusion among journalists about the contours of copyright law. In that regard, Aufderheide and Jaszi predict the biggest gains will be made among entrepreneurs and innovators who are developing outlets for web-native news and analysis. The reason is those groups have experienced the greatest confusion about the fair use doctrine. Perhaps best of all, in ordinary situations, the report stands to empower journalists to make decisions without consulting someone like me, a media lawyer. We aren’t always available at the moment you need us, and we can be costly. Those two qualities have a disparate impact on spot news reporters, who need to act quickly, and on entrepreneurs and innovators, who don’t always have ample resources. My main complaint about the report is that it lacks references to case law and scholarship. They would have added more texture and richness to the analysis, and they would have foreclosed any criticism that the principles are unsupported by law. Indeed, it’s possible that some would argue that the principles are more doctrinally normative than positive. But in general they comport with my understanding of fair use, and the report is a worthy contribution to the discussion of how journalists navigate copyright law. Jonathan Peters is a media lawyer and the Frank Martin Fellow at the Missouri School of Journalism. He blogs about free speech for the Harvard Law & Policy Review, and he has written on legal issues for The Atlantic, Slate, The Nation, Wired, PBS, and the Columbia Journalism Review. Peters practices law in his time off campus, and he is the First Amendment Chair of the Civil Rights Litigation Committee of the American Bar Association. Follow him @jonathanwpeters on Twitter. Feature photo by NS Newsflash via Flickr Creative Commons. I’ve just run into a situation where a “News Outlet” some thing called “Environment News Service” have been using my images on their stories without permission, compensation, or attribution since at least 2007. I’ve contacted them and while they did actually remove the images, they made it clear that they were under no obligation to do so. I’ve also found my images on blogs. So, if someone writes on a blog “Chickens are treated badly in Indonesia”, is that Social Commentary intended to Inform the Public? and if so, does that immunize people from being held accountable for doing anything they damn well please with my work? with no permission, notification, compensation or attribution? The image comes off looking as if it’s in the Public Domain. All I ask when anyone wants to use one of my images is that they make a donation to a Charity I support, but these people apparently have the right do enjoy the use of my images to further their own agendas and I have no say in the matter. How is this even remotely ok? If a jeweler makes his living by selling jewelery and a photographer makes his money by selling photographs, how is it any different ?